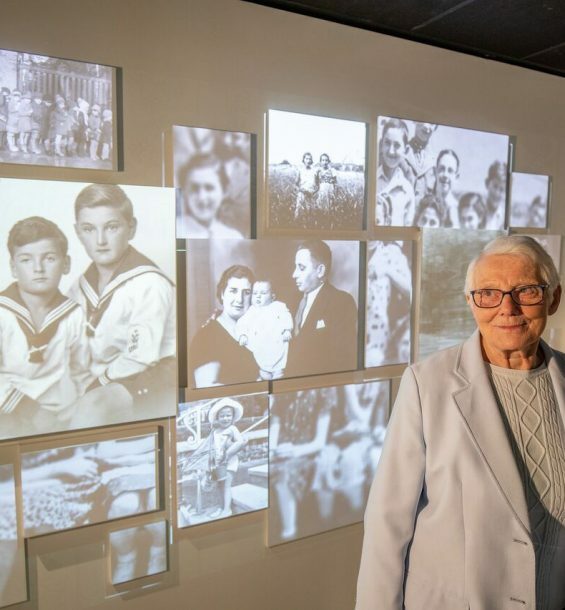 Through Our Eyes is a new exhibition about a group of children and young people who survived Nazi persecution across Europe in the 1930s and 1940s. They came to the north of England as refugees or survivors of the Holocaust, settled and made new lives here. Through Our Eyes is an interactive, multi-media exhibition. 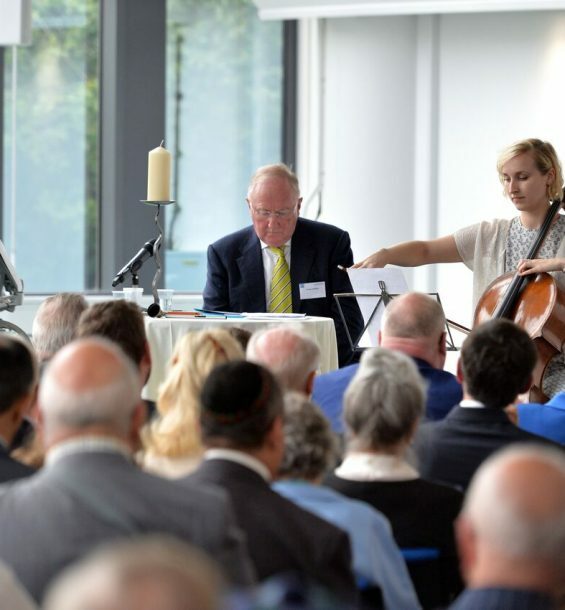 Visitors will see poignant personal photos of the survivors and their families and their original artefacts and documents, together with an original prisoner uniform and other artefacts from the concentration camps at Buchenwald and Mittelbau-Dora. The survivors tell their stories of discrimination, persecution, escape, hiding, ghettos, forced labour, concentration camps and liberation through filmed testimony on six interactive touchscreens. Text and images puts their experiences in context, supported by animated maps and an immersive audio-visual experience driven by survivor testimony. There is a reflective space at the end of the exhibition where visitors can find out about the survivors’ experiences of rebuilding their lives in the UK and explore a digital memorial to local families. 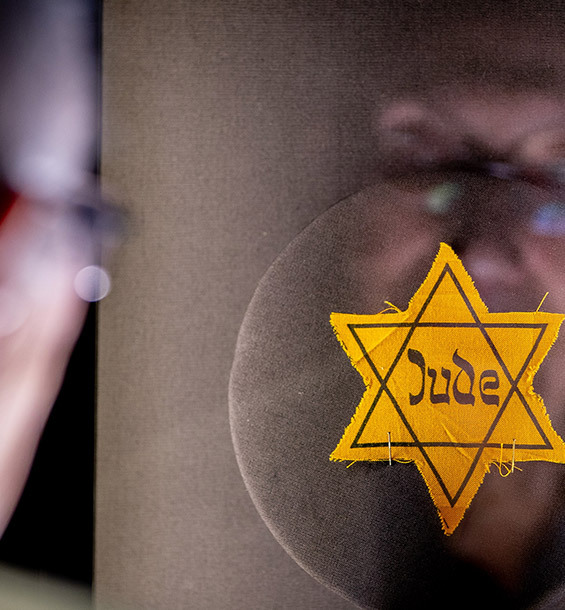 The exhibition contains photographs and video footage of concentration camps and atrocities that some visitors may find disturbing. The exhibition is not suitable for young children. We have a conference space available to book for up to 100 delegates, with a breakout space and full catering service available. Conference delegates have exclusive use of the Through Our Eyes exhibition. Contact us to discuss your requirements. If you would like to visit with a group of 15 or more people, please call or email us to arrange a group booking. For capacity reasons, if you arrive without booking we cannot guarantee that we will be able to accommodate you within the exhibition. We can arrange survivor talks, guided tours and workshops for groups of 15 or more people on request. Please complete our paper enquiry form which you can download here, then re-upload using the form below. For school bookings, please visit our Learning section. Send back your downloadable booking form using the form below. We are located on Level 2 of the Schwann Building in The University of Huddersfield. Please be aware that there is no public parking available on campus. The nearest public car parks are Market Hall (5 mins) and Kingsgate Shopping Centre (5 mins). There are limited spaces on campus for disabled blue badge holders, are allocated on a first come basis. There is wheelchair access throughout campus and into the exhibition. Our lift is located on Level 4 of the Schwann building opposite Santander bank. Male, female and disabled toilets are located at the back of the exhibition space. There are no catering facilities in the Centre, however there are many catering outlets around campus including Starbucks and Costa Coffee. Please check the University website for details of their opening times and catering offer. We sometimes run a pop-up café during special events. Please check event details for information.